Our Waiting on Wednesday is book three in the Hourglass Door series by Lisa Mangum titled The Forgotten Locket. series: Hourglass Door Trilogy #3 . The future is uncertain. The battle to control the past has begun. The final book in the riveting Hourglass Door trilogy begins when Abby steps through the black door, and she doesn’t dare look back. 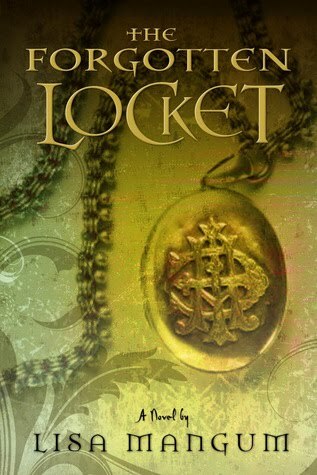 Though it means leaving Dante—wounded, bleeding, and possibly blind—she knows it is the only way to save her family and stop Zo from manipulating the river of time and throwing the future into chaos. In the end, Abby must face a final confrontation that will take her to the very origins of the Hourglass Door. Deseret Book sent us the trailer yesterday and we are pumped! and be sure to visit our Etsy shop at LittleRedReads for Hourglass Door related items. His past. Her future. Can love bring them together in time? Abby’s senior year of high school is going according to plan: good friends, cute boyfriend, and college applications in the mail. But when Dante Alexander, foreign-exchange student from Italy, steps into her life, he turns it upside down. He’s mysterious, and interesting, and unlike anyone she’s ever met before. Abby can’t deny the growing attraction she feels for him. Nor can she deny the unusual things that seem to happen when Dante is around. Soon Abby finds herself drawn into a mystery whose roots reach into sixteenth-century Florence, and she uncovers a dangerous truth that threatens not only her future but the lives of those she loves. I read this book back in May 2009 after I was finished with the Twilight Series and was looking for another strong book to fill the void. I’d never heard of it before but picked it up at Costco while grocery shopping and that was that! It was an incredible book, one of my top ten reads of 2009. If you haven’t had a chance to read it yet this is one you will want to add to your list. 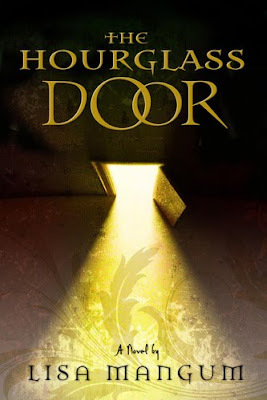 Hourglass Door is a time slip romance that made me curious about Leonardo Da Vinci and helped me to savor my interactions with those I love. This novel teaches you to relish each moment, and take your time in life all while sweeping you way in the arms of a dark handsome Italian boy. This book is one that left an impression on me, open the portals of my imagination and ignited my love for reading again. It’s a must have in my opinion and you are in luck because Shadow Mountian sent us an extra copy! Giveaway ends May 24, 2010 Good Luck!